Situated within The Peak District National Park, and nearby the SSSI protected Ecton Copper Mines, the design, size and scale of this extension were important planning considerations. Believed to be workers cottages dating from the early 19th Century, associated with the nearby copper mines, the residing family had out grown the limited accommodation available. The proposed extension would provide a third bedroom to the first floor and an opening plan kitchen dinning room to the ground floor for all the family to enjoy. 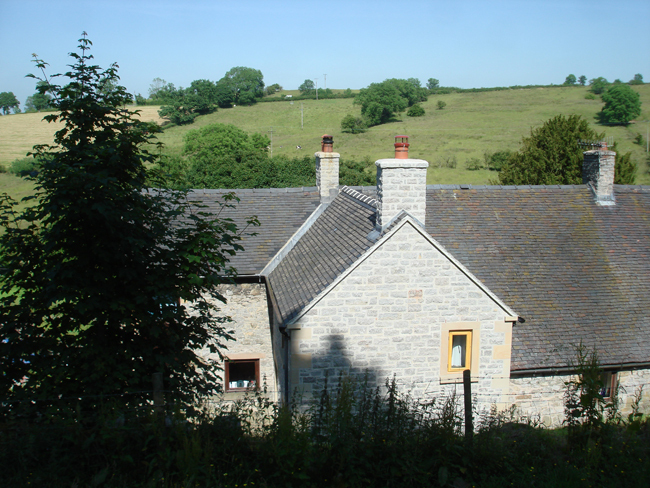 The external building materials were chosen to complement the surrounding landscape and vernacular, these included; locally sourced Derbyshire limestone for walling, dressed sand stone quoins and window surrounds, Staffordshire-blue plain tiles to the roof and black painted cast iron rain water goods. The new windows were traditional casements made from painted timber.